Vice president for student affairs and dean of students with over 25 years of professional experience in higher education, Dr. Gonzalez served as the dean and chief student affairs officer at Lewis & Clark College, the associate vice chancellor at the University of Illinois at Urbana – Champaign, the associate dean of students at the University of California, Irvine, and sailed 4 times as the dean of students with semester at sea. She is also the founding member and continues to teach in the Student Affairs Program at Lewis and Clark College’s Graduate School. Dr. Gonzalez is the co-editor of the 2018 publication titled Transformational Encounters: Shaping Diverse College and University Leaders and has received numerous awards including NASPA’s Pillar of the Profession and the Scott Goodnight Award for Outstanding Dean. Dr. Gonzalez received her bachelor’s degree at Loyola Marymount University and both her masters and PhD at Claremont Graduate University. Through partnerships with on- and off-campus stakeholders, Dr. Gonzalez is guided by the vision of advancing the educational mission of higher education, creating an accessible educational experience for all individuals, and helping students to become global leaders of the 21st century. 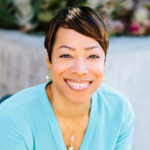 As the assistant vice president for student affairs, Leslie Hughes is responsible for the administration and management of the Offices of Residential Life and Campus Life and focuses on integrating principles of student development, leadership, and holistic wellness designed to promote a robust and well-balanced student experience. Leslie provides guidance in student behavioral matters and advises the disciplinary board chair in all aspects of the judicial process. Leslie oversees the Incident Response Team, which responds to campus emergencies and provides on-call resources for students. Leslie focuses on providing advocacy and support to students as the chair of the Care Team, a multidisciplinary team that works to assist students in need of personal and/or academic resources. 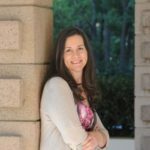 Leslie is currently working on her doctorate of education in organizational change and leadership at the University of Southern California. Leslie holds an MEd in student personnel administration in higher education from the University of North Carolina at Greensboro. Leslie is also a graduate of Indiana Wesleyan University, where she earned her B.S. in art therapy. 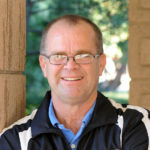 Chris Sundberg, who has been at Harvey Mudd College since fall 1997, is the associate dean for campus life. He directs and coordinates the gamut of campus life activities, including: HMC New Student Orientation programs, Associated Students of Harvey Mudd College (ASHMC) advisement, Linde Activities Center/Gym (LAC) management, Claremont/Mudd, Scripps Physical Education classes, DSA Muchachos Student Activities Team (on-campus social programming). 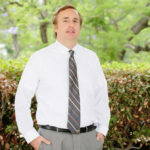 Chris holds a bachelor’s degree in both business administration and art from the California State Polytechnic University at Pomona and a master’s degree in college student affairs from Azusa Pacific University. 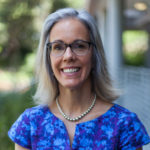 As the associate dean of health and wellness, Dr. Chresfield oversees and manages the services related to mental health including meeting with students, referral to external practitioners, and providing workshops and programming for students, faculty, staff, and parents. Dr. Chresfield has been trained as a nurse, therapist, and educator. She completed her master’s degree at New York University and doctorate at the State University of New York. Her primary focus for the last eleven years has included the mental health of college students, people of color, and those with co-morbid mental and physical health concerns. 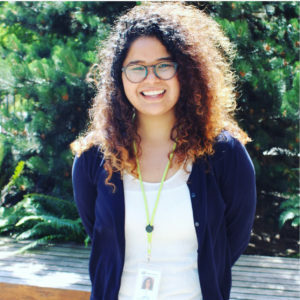 As director of community engagement, Gabriela fosters new and current relationships with community organizations; coordinates student engagement and participation in community based learning activities; and provides support for the development, implementation and assessment of service learning courses. Gabriela is a graduate of Pomona College and received her masters in education from the Claremont Graduate University. 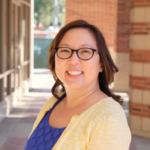 Sarah Park joins Harvey Mudd College as director of career services with over 16 years of experience in higher education administration and student development programming. Sarah’s love for higher education began as a student at Carleton College in Northfield, MN and continued while she received her at The University of Iowa in student development in postsecondary education. 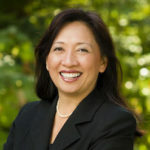 In her career, has worked across the country in residential living, academic advising, international student and scholar advising (F-1 and J-1 visas), Diversity and Inclusion and career development at various institutions ranging from small liberal arts institutions, like Pomona College and Claremont McKenna College, to large-research universities, like UCLA and University of Georgia. Sarah believes the whole student experience is important and strives to make resources accessible to all students. She oversees career development, employer relations, and recruiting at HMC. As the assistant dean for health and wellness, Michelle oversees wellness programming on campus, work with the wellness peers, and meets with students one on one to provide support and case management services. Dean Michelle is a graduate of the University of Maryland, with a B.S. in public health. She also holds an MPH in health behavior and health promotion, as well as an MSW in mental health and substance abuse from The Ohio State University. As the assistant dean of campus life, Evetth Gonzalez creates purposeful student opportunities for connection, involvement, and leadership through the oversight and advisement of New Student Orientation, campus activities including the DSA Muchachos, the student government (ASHMC), the Linde Activities Center, the Harvey Mudd College mobile application, and by serving as a live-on dean. 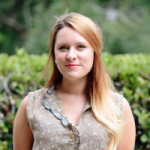 She also is an inaugural member of the Claremont Colleges Teal Dot Committee that focuses on bystander intervention strategies for students, faculty, and staff. 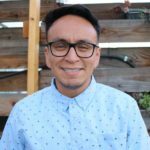 Evetth Gonzalez is a student affairs professional with a career spanning nearly a decade specializing in student leadership and development, orientation and transition, quality programming, social justice advocacy, and assessment. Gonzalez received her B.A. in communication studies at Biola University and her M.S. in college counseling and student development from Azusa Pacific University. As the assistant dean for residential life, Dr. Valenzuela oversees and manages the operations, policy development, administration, and processes and programs related to residential life and student housing for the Division of Student Affairs (DSA). Dr. Valenzuela has worked in higher education and student affairs for over fifteen years and has experience in housing & residential life, sorority & fraternity life, advising student government, leading alternative spring break trips, campus-wide programming, and student conduct. Dr. Valenzuela is a graduate of the University of California, Irvine, with two B.A.s in film studies and psychology. Dr. Valenzuela also received his master’s in higher education student affairs from The Ohio State University and his doctorate in educational leadership from UCLA. 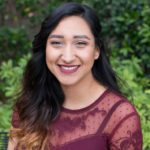 As the assistant director for campus life and residential life, Karen Romero Sandoval helps to coordinate and manage student housing, student leadership initiatives, campus events and programs, and New Student Orientation. Karen has worked at Cal State University, Fullerton (CSUF) at the Office of Student Life and Leadership as their sports club graduate assistant. Prior to Harvey Mudd and CSUF, Karen was heavily involved in student government and was a student assistant at the Latinx cultural center at California State Polytechnic University, Pomona (CPP). Karen is currently pursuing her master’s of science in higher education at CSUF. She has a bachelor of science in kinesiology, exercise science from CPP. As the associate director of community engagement, Danny organizes, develops and supports community engagement programming on- and off-campus, including student-led and community-led programs. He will also manage and supervise the Homework Hotline program by working collaboratively with school districts, educators and other members of the campus and external community. Danny received his B.A. in psychology at Cal Poly Pomona and his M.S. in college counseling and student development from Azusa Pacific University. As the program manager for international students and scholars, Evelyn assists students on F and J visas to make sure that they always have all their immigration documents in order. Evelyn advises on immigration regulations by individual appointment and group seminars. She also prepares legal documents that allow international students to gain work experience through a period of practical training. She is committed to making sure that every international student feels Mudd becomes a home away from home where they can be comfortable to be themselves while still learning about the United States. Evelyn received her B.A. in sociology from California State University, San Bernardino and her M.A. in higher education from the University of Redlands. As the associate director for the Office of Career Services, Mr. Hardister works with employers to set up recruiting events and on-campus interviews. Mr. Hardister also provides career guidance for students by appointment or by conducting workshops. Mr. Hardister has over two decades of experience in higher education including twelve years in career services.  Prior to joining Harvey Mudd, Mr. Hardister served as the director of the office of career management at Claremont Graduate University. Mr. Hardister also has worked as a career counselor at Occidental College. In addition to experience in career services, Mr. Hardister served as an admissions representative for graduate programs at George Washington University and taught introductory math courses at Wake Technical Community College. Mr. Hardister holds a BA in mathematics from UNC-Chapel Hill and an MBA from George Washington University. As the career advisor/employer developer in the Office of Career Services, Jason works with students on all aspects of career development, including: career exploration, major selection, internship/job search, resume/cover letter creation, interviewing, and the graduate school application process. Jason also assists the on-campus recruiting program by coordinating employer events and cultivating new employers. Prior to joining Harvey Mudd, Jason served for six-years as the assistant director of career services at Claremont McKenna College, where he counseled students and managed the Sponsored Internship Program, a flagship resource that awards funding to students for summer opportunities. In addition to his experience in career services, Jason worked for over four years in the Dean of Students Office at Claremont McKenna and for two-years in the Chancellor’s Office at UC Berkeley. Jason earned his B.A. in English at the University of California, Los Angeles and will complete his M.A. in higher education at the University of Redlands in April, 2019. As the executive assistant to the vice president for student affairs/dean of students, Kim assists students in many ways, some of which include: making appointments with the different Deans in the Division of Student Affairs, managing the Student Health Insurance Program, submitting driver applications for students seeking to drive “Mudd Vans,” selling bike locks, and generally engaging students with witty repartee. Kim earned her bachelor of arts degree in political philosophy and art history from Scripps College. 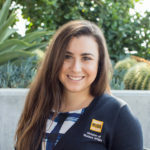 As the program/employer relations coordinator in the Office of Career Services, Danit is responsible for supporting relationships with outside organizations to plan and coordinate a variety of events linking students with opportunities for internships, research, and jobs. She also provides administrative and programmatic support for the Office of Career Services. Danit has worked in higher education and student affairs for five years as a student and professional, working in offices for Dean of Students and Vice President for Students Affairs with additional experience in student conduct and leadership programs. Danit has a B.A. in psychology from CSU Channel Islands and a M.A. in student affairs administration from Lewis & Clark Graduate School of Education.